To commemorate 40 years, Fine Line has created an exhibition entitled FL@40 – Roots & Wings, which brings together pieces by Fine Line faculty past and present. The show will on display in the Kavanagh Gallery. Named after Sister Denise Kavanagh, the gallery is a light-filled space, that displays 5-7 exhibitions each year. The gallery is open to members of the public, and Fine Line charges no admission fee to any of its shows. 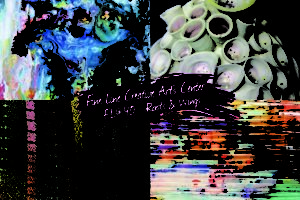 Over seventy artists have been invited to show at FL@40 – Roots & Wings. Given the numerous classes that have been held at Fine Line over the years, it will be an unusual and colorful display.